Home » Social media champions wanted for #EFIC2019! Social media champions wanted for #EFIC2019! Do you love connecting with people on social media? Are you passionate about pain research and medicine? 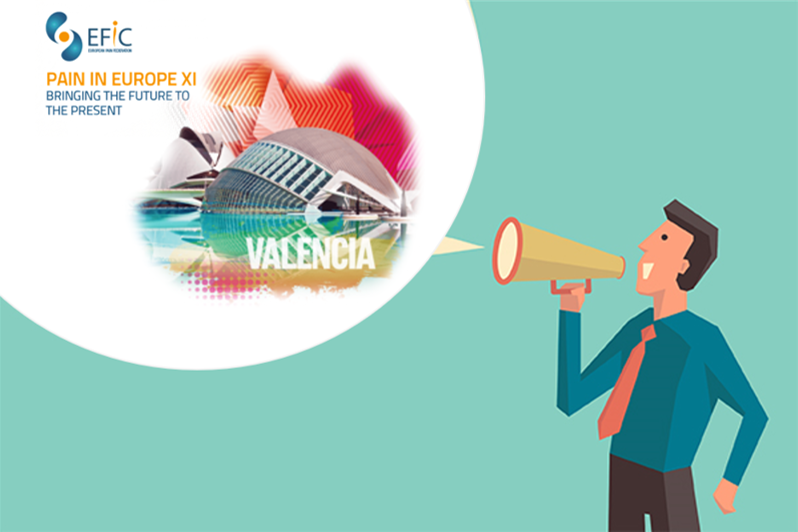 Do you plan on attending #EFIC2019 in Valencia? Then help us promote our next congress on social media and receive rewards and benefits at this year’s largest international scientific congress on pain in return. We are looking for social media champions based all over Europe who know their way around Facebook, Twitter and LinkedIn and want to use their skills to increase chronic pain awareness. We provide you with all the necessary information and material you need to post about #EFIC2019 on social media and engage with your followers. The more you share, the more benefits and goodies you receive in return! Send an e-mail to Vittoria.carrararo@efic.org to let us know you want to join and don’t forget to include links to all your relevant social media profiles!